Introduction: Welcome to Quality Lighting. 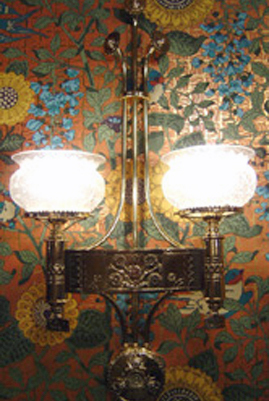 Your full-service antique lighting, preservation, replication, and design specialists. 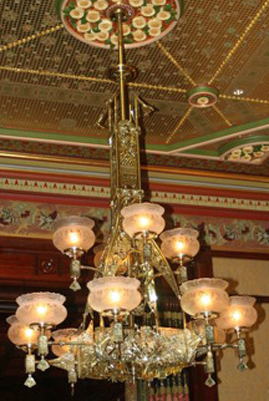 For over 28 years, we have restored and reproduced more than 20,000 historic period fixtures in all shapes and sizes, from the grandest gas chandeliers of 1830's to the Art Deco period. You will find our work hanging in some of the finest museums, government interiors, and commercial and residential locations in the country. Antique lighting has had to survive three brass scrap drives, from the Civil War to WWII, making the supply of genuine early lighting nearly impossible to find. Quality Lighting specializes both in the replication of existing fixtures, and the reproduction of antique lighting from period photographs and drawings so you can fulfill all of your antique lighting requirements. 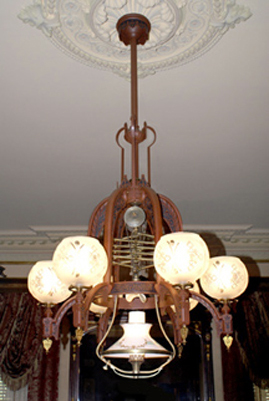 Much of the early antique lighting was designed as art objects. With that in mind we treat every lighting fixture with special care and make every attempt to preserve it's original beauty. We are located in the heart of California's gold country, in the town of Grass Valley. 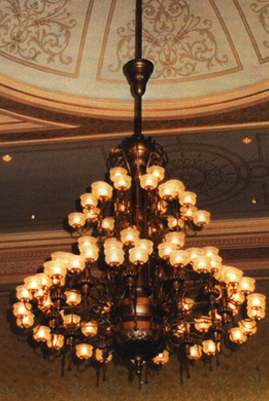 For over 28 years, we have brought new life to historic antique lighting fixtures. With our attention to detail, even a lamp left on the scrap pile can once again see the light.